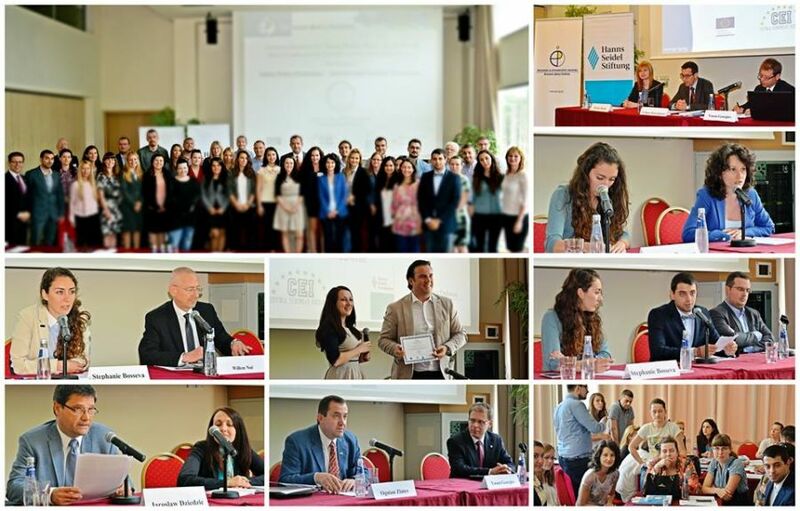 For 16th consecutive year, the Economic Policy Institute organized its traditional regional forum – the Summer Seminar for Young Public Policy Professionals from South Eastern Europe and the Black Sea region. 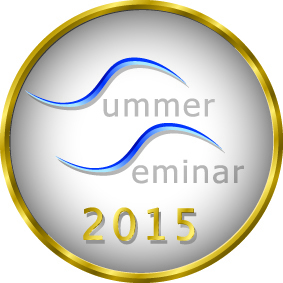 This year’s edition took place within the period June 1 - 5, 2015 in Albena resort at the Bulgarian Black Sea coast thanks to the kind financial support of the Hanns Seidel Foundation, the Representation of the European Commission in Bulgaria, the Central European Initiative, and the Austrian Embassy in Bulgaria. After a careful evaluation process, the Seminar gathered together 34 outstanding young experts from public institutions, research centers and think-tanks from ten countries from SEE and the Black Sea region, i.e. , Albania, Bulgaria, Croatia, Macedonia, Moldova, Montenegro, Romania, Serbia, Turkey and Ukraine. Following the established traditions, the participants had the opportunity to work with prominent and reputable lecturers, among whom high-level officials from the European Commission, distinguished international experts and practitioners, diplomats and academics. The lecturers had the opportunity to share their vision, experience and competences on various public policy issues as well as topics of regional significance and in the field of European politics and economy, such as Countering Corruption in SEE, Better Regulation for Better Business, Е-Government Practices in Central and South Еast Europe, Lessons Learnt from the EU Enlargement Process, etc. Apart from the Q&A sessions which were held after every lecture, the participants managed to share their thoughts on the present situation in the Southeast Europe and the wider Black Sea region and the challenges they are facing in their everyday work during the interactive workshops and debates which were included in the agenda. During the World Café session which is traditionally organized during the first day of the annual Seminar, the young experts had to discuss Public Policy related issues such as the good governance in SEE and Black Sea Region, how to increase the efficiency of public Institutions and to enhance competitiveness, etc. On the next day Mr. Bogdan Muresan, Project Coordinator at the European Institute of Romania, had prepared for his fellow participants an interesting debate on the topic “The EU between real and normative power”, which provoked an extended discussion between the two opposing teams. As a conclusion of the five day-long Seminar, the young professionals had the chance to share their visions for possible future scenarios for the EU and their respective regions. After being divided in five groups, the participants discussed on and later presented to their colleagues political, economic, security, social and regional cooperation scenarios. Each presentation followed a different approach and was highly evaluated by the other working groups. After the closing ceremony during which everyone was granted a certificate for participation by Mr. Yasen Georgiev, Executive Director of the Economic Policy Institute and Mr. Ognyan Zlatev, Head of the Representation of the European Commission in Bulgaria, the whole group had the opportunity to visit the beautiful cape Kaliakra, as well as the Palace in Balchik and its botanical garden. This was yet another opportunity for networking and exchange of personal and working experience between the participants, the lecturers and the organizers. Thus, the Seminar has once again proven itself as a successful and efficient initiative which reaches its goals, i.e., to build a hub for training among future decision-makers from SEE and the Black Sea region, to improve their professional competences and skills and to encourage them to establish fruitful cooperation among each other not only during the Seminar, but also for the years to come. In the evaluation forms they have extended their admiration not only for the overall organization of the event, but also for the selected speakers and topics. Last but not least, the team of EPI would also like to express its gratitude to the participants, lecturers and supporters of the 16th Summer Seminar for Young Public Policy Professionals from South Eastern Europe and the Black Sea region and is looking forward to the next year’s edition.